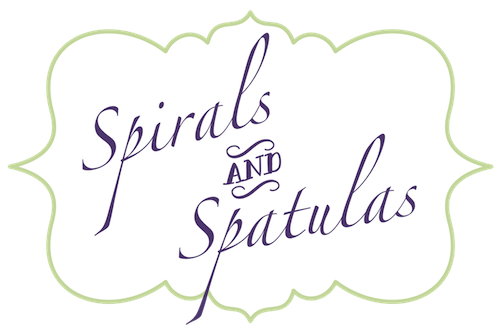 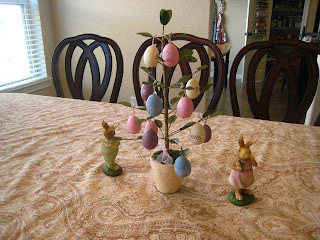 Spirals & Spatulas: Happy Easter! 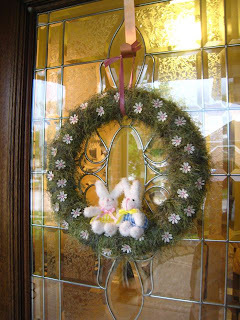 We're spending this weekend celebrating Easter with our families (we had 21 people at our house for a big family dinner last night!). 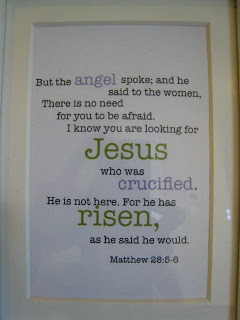 I hope you're all having a lovely weekend too and rejoicing in the meaning behind the holiday! 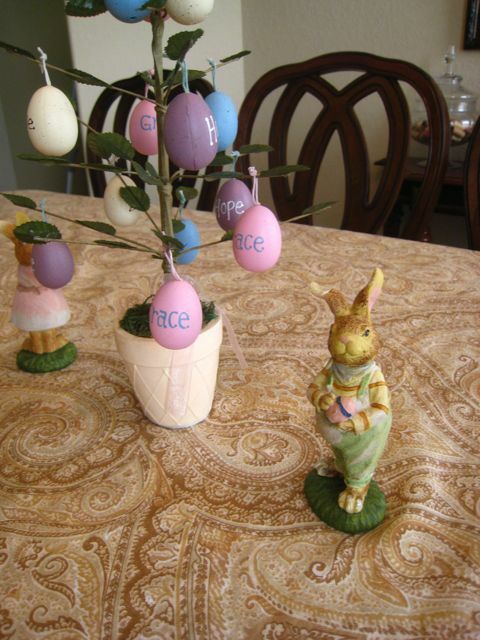 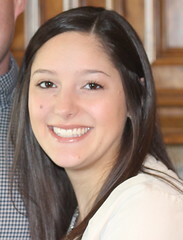 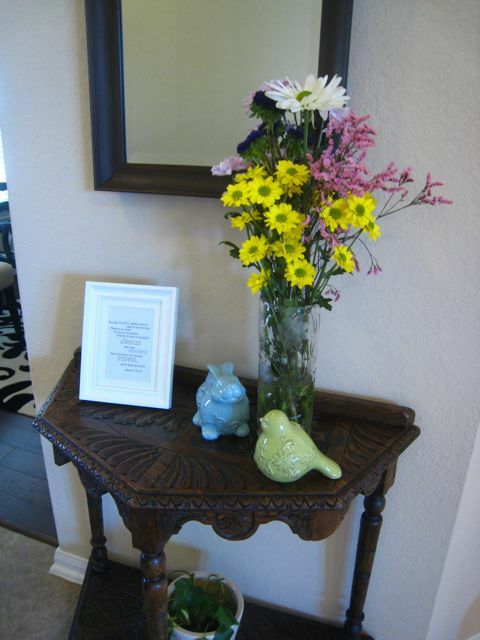 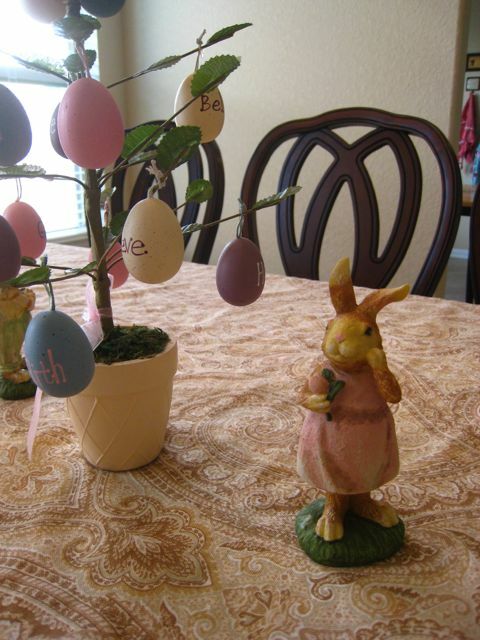 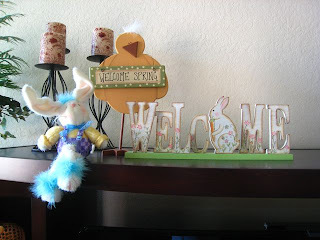 I was way behind on taking photos of my Easter decor this year, but I finally did it a few days ago, and here are the pictures! 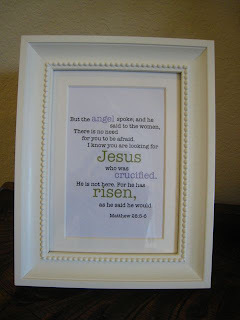 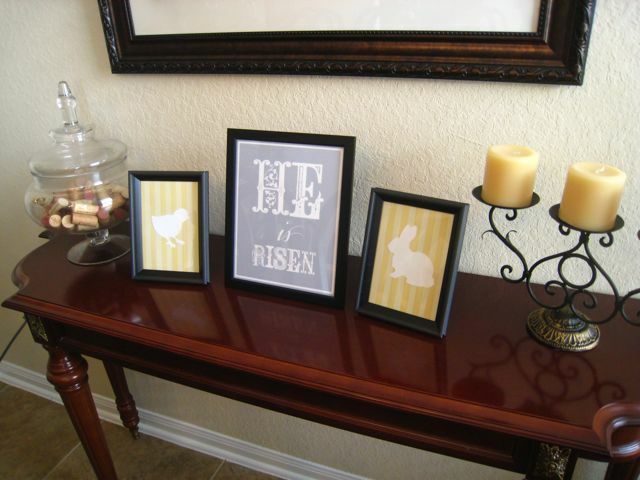 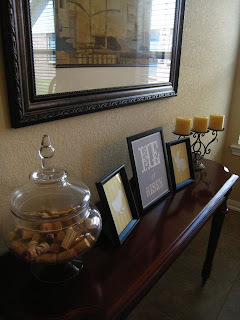 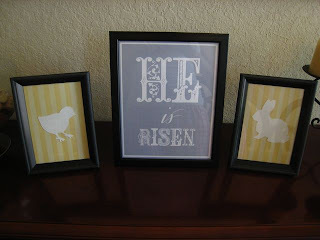 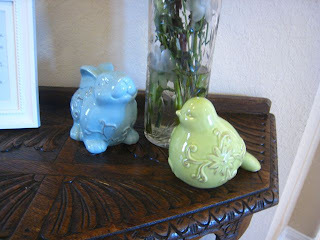 I DIYed the bunny and chick, and I got the "He is Risen" printable from here. 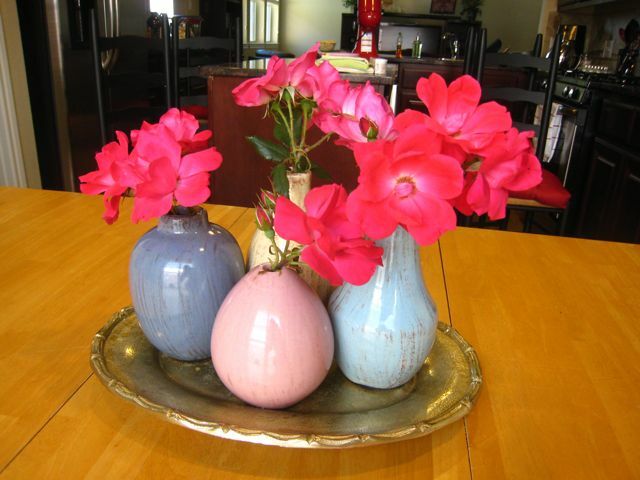 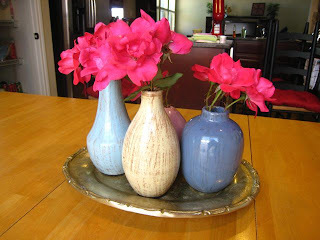 Spring flowers on the kitchen table! 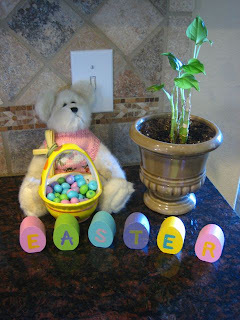 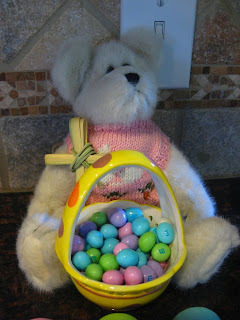 In the kitchen... Easter bear, Easter M&Ms, Easter egg letters, and a Palm Sunday palm cross! What's a holiday without peanut M&Ms? 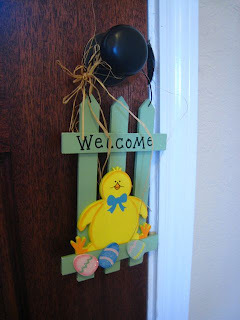 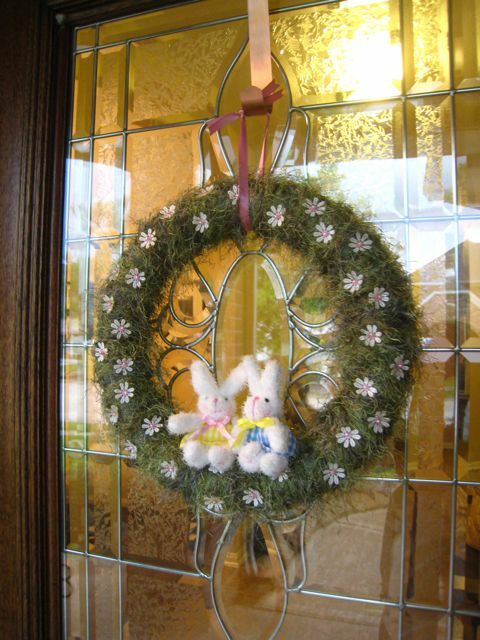 And of course, there's my new DIY Easter wreath on the front door! That's it! Have a lovely Easter Sunday!